We like to brush up on a little local history before traveling somewhere. 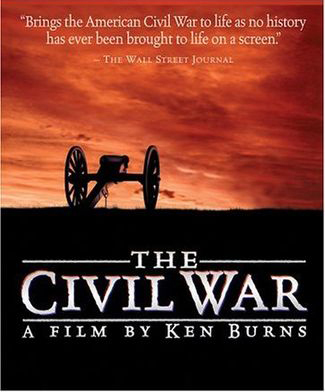 In preparation for heading to DC/Virginia next weekend, we’ve been watching the 1990 Ken Burns documentary “The Civil War.” When it originally aired it was seen by 40 million viewers, making it the most watched program in the history of PBS. The film is divided into nine sections and totals 11 hours and 30 minutes. If you think that’s long to watch, think about the fact that it took 5 years to make, which is longer than the 4-year war itself. Historians tell the story of the war in detail in interviews that are tied together with narration by David McCullough. It covers the time period from just before the war’s start through Lee’s surrender, the assassination of Lincoln and the reunification of the nation. In the absence of video in the 1860s, Burns showcases over 16,000 archival photos and paintings in that slow panning motion, and thus coined the term “Ken Burns Effect”. The overall result is absorbing, anyone with an interest in history will be easily sucked into the story and won’t have any trouble making it through all 11.5 hours. In addition to being a good reminder of American history, it is providing us with a lot of itinerary ideas. Civil war sites we’ll see on this trip include Harpers Ferry, site of the John Brown Raid that some credit with starting the war), Antietam National Battlefield, Gettysburg National Battlefield, the Shenandoah Valley, and too many to count in DC itself. The details given in the film have alerted us to some sites we wouldn’t have otherwise known to visit. 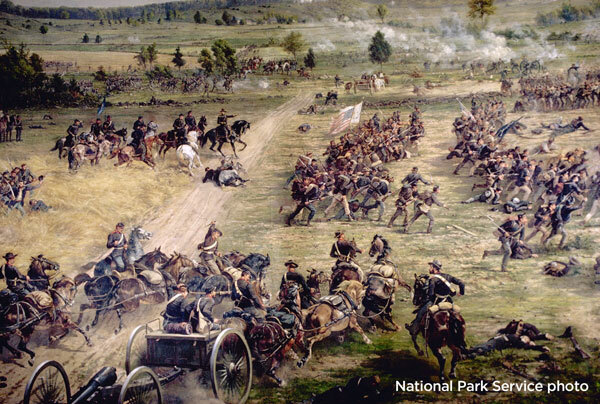 We’ll also have a much greater understanding of what exactly happened on the Battlefields at Antietam and Gettysburg. This entry was posted in Maps, Travel Resources and tagged Civil War Documentary, Civil War movie, Ken Burns Civil War. Bookmark the permalink.